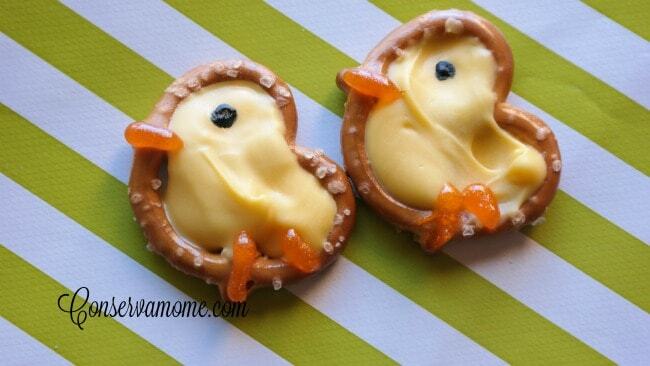 These Pretzel Chicks are incredibly easy to make and so fun to eat. 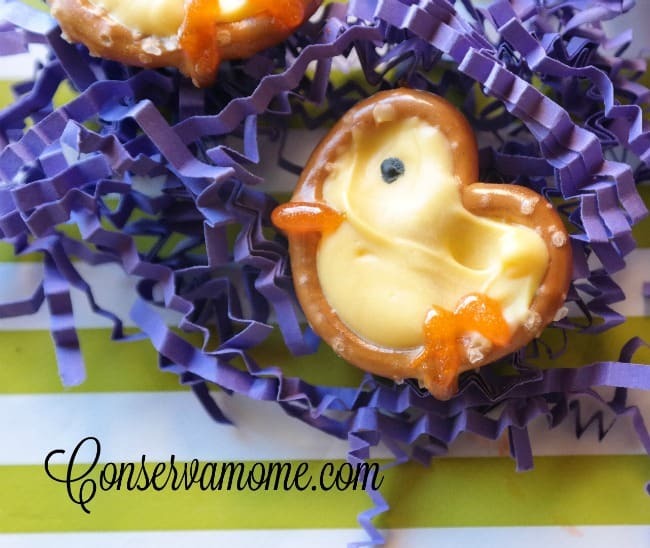 The perfect Tasty Spring time craft that can be changed up for any holiday! Spring is one of my favorite times of year. It shows off brightness, new life and most important a time for renewal. It shows you that even after the coldest and darkest time, life begins again. There’s hope and happiness, green and beauty. Even most important new life! This is always a favorite time in our home to make the cutest recipes and crafts celebrating this beautiful time of year. What better way to celebrate spring than with an easy craft that will be perfect to make, even with the smallest of helpers. It will leave your family with a delicious and tasty treat. 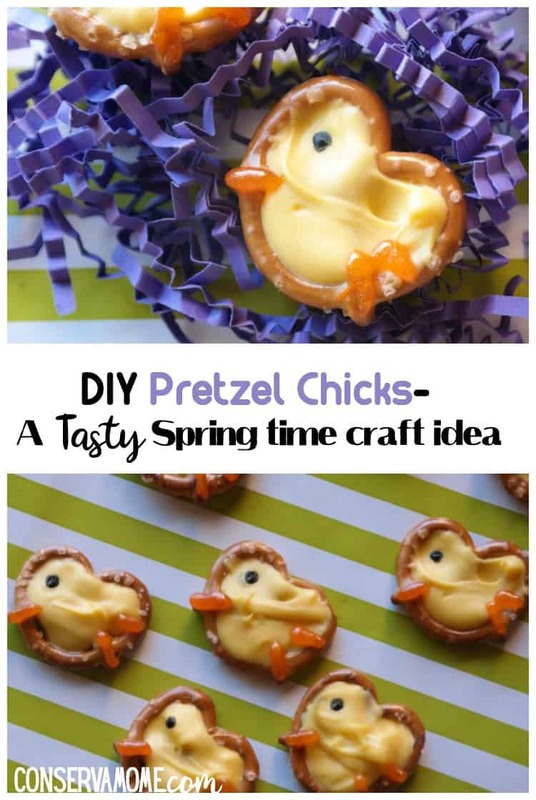 Best of all these Pretzel Chicks are incredibly easy to make! Gel paint and or Icing for beak, legs and eye. To begin you’ll need to melt the Candy Melts. I use the microwave and melt for about 15 seconds,stir,then melt again until it’s ready. I suggest you use a parchment or wax paper under the pretzels so they don’t get stuck on your surface since the candy melts will go straight through the pretzels. Let them “dry” or harden for about 15minutes to half an hour. Once it’s hard simply draw in a dot for the eye and a beak and little feet with one swift line for each. It’s that simple! This is such an easy and fun craft to make. 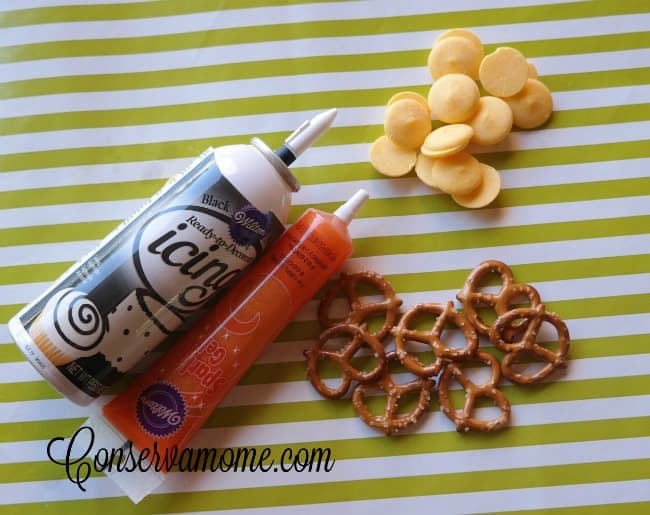 You can make it as a snack or even for a party. Most important you can make a ton at the same time. Kids will love making these as well because they are so easy to make. You can even change colors up to make different figures like Bunnies, or change the beak so it looks more like duck. The sky is the limit. Looking for more Spring themed activities? Check out these 16 spring crafts for kids! So cute & looks yummy. I love the combination of sweet & salty. This is to cute and I love that it is so simple! Thanks for such great Easter idea!! What a brilliant and creative idea! I love these! They are so cute and fun! This is such a cute idea!!! I want to make these for the kids’ table for Easter!!! They’ll love it! 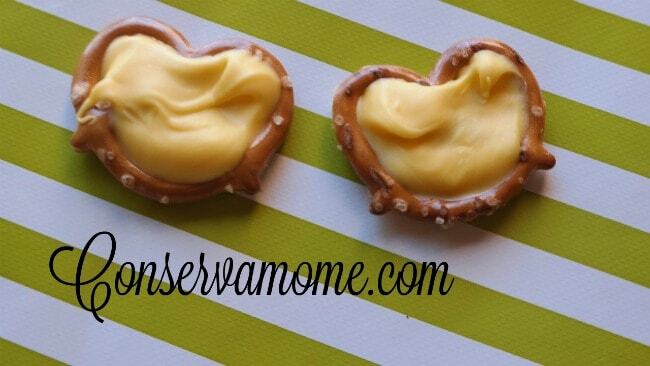 This is such a super cute project and what a nice appetizer it would make. I think they are so sweet. This is something I will make with my grandchildren. These are so cute! I hope mine can turn out like this! 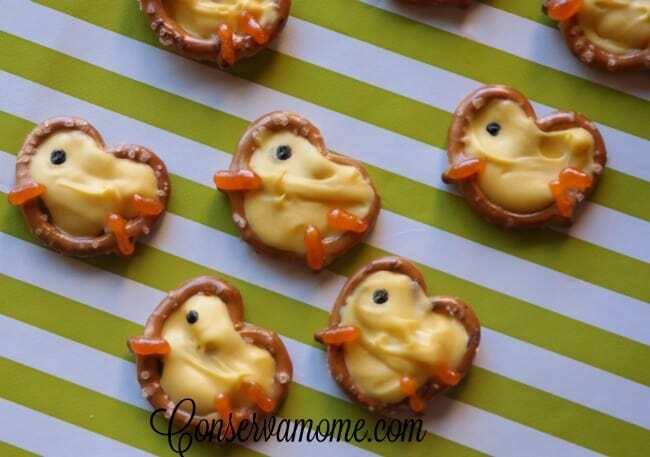 These Pretzel Duckies are so adorable & Clever.. I Just love them and being easy to make~~makes me love them more! Lol! 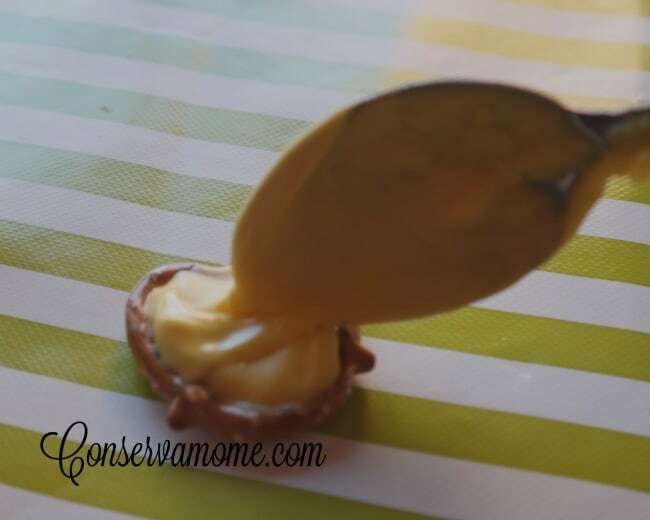 I will pin this recipe and will enjoy making these for the Grandchildren! Thankyou so much for sharing! !